Continuing his attack on the Congress, he said efforts to stop the "leakage" could have been made earlier as well but there was no intention and will power. New Delhi: Prime Minister Narendra Modi on Tuesday targeted the Congress over corruption while referring to former prime minister Rajiv Gandhi’s comment that only 15 paise of Re 1 reaches masses and said the Congress government had done nothing to stop the leakage. “We have given about Rs 5,80,000 crore to people, transferred to their bank accounts through various schemes. Imagine, if the country was being run on the older system? Then Rs 4,50,000 crore would have vanished,” PM Modi said. Continuing his attack on the Congress, he said efforts to stop the “leakage” could have been made earlier as well but there was no intention and will power. “Our government is moving towards ensuring that the aid given by government is directly transferred to beneficiary accounts through direct benefit schemes,” he said. The prime minister’s remarks came at the inaugural event of the 15th Pravasi Bharatiya Divas in Varanasi. The prime minster also lauded the people of Indian origin for carrying out leadership roles in countries such as Mauritius, Portugal and Ireland. He described NRIs as India’s brand ambassadors and said they were the symbols of the country’s capabilities. 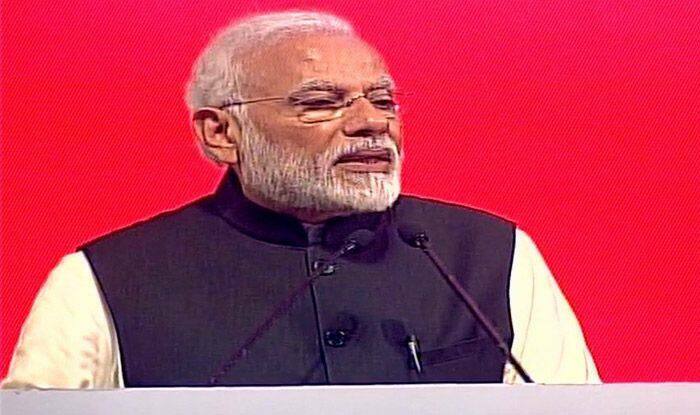 PM Modi said that India is in the position to lead the world in several subjects, adding that it is among the fastest growing economic forces in the world.